Attention! Contains spoilers to the second episode! This guide is about how to find all the graffiti in the game Life Is Strange: Before the Storm Episode 2: Brave New World. 1) The first graffiti can be obtained at the beginning of the episode at the parking lot. Approach the white car with a box, where the lights lie and make graffiti (either "Pot" or "Anarchy"). 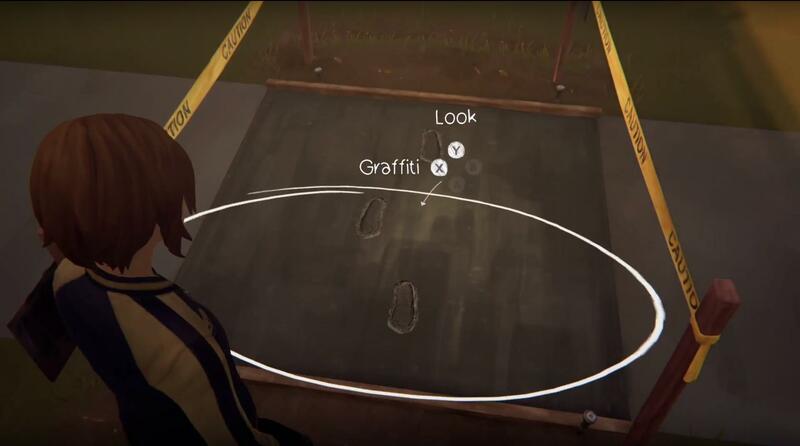 2) The second graffiti can be obtained at the junkyard. Go to the big boat and try to climb it. You can`t do anything. Take the palette that is next to you, transfer it to the boat and climb it. As soon as you are on the boat, go to the hood and make graffiti (either "Buried treasure", or "Burial"). 3) The third graffiti can be obtained all at the same junkyard. 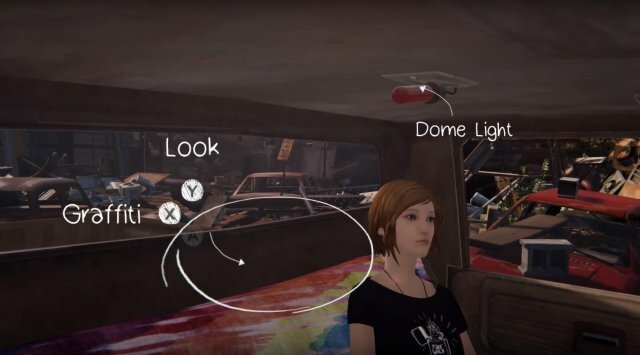 When Chloe is in the car, make graffiti on the cab wall (either "Mystical" or "Frightening"). 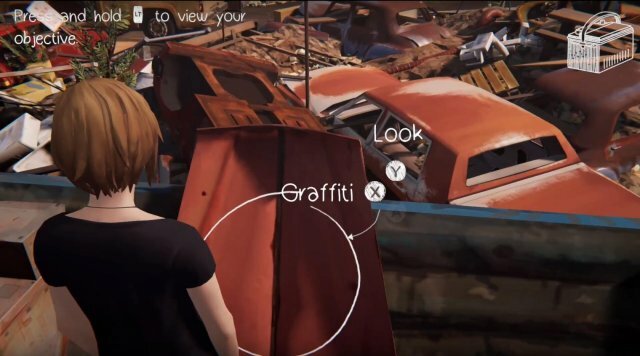 4) The fourth graffiti can be obtained later at the junkyard. 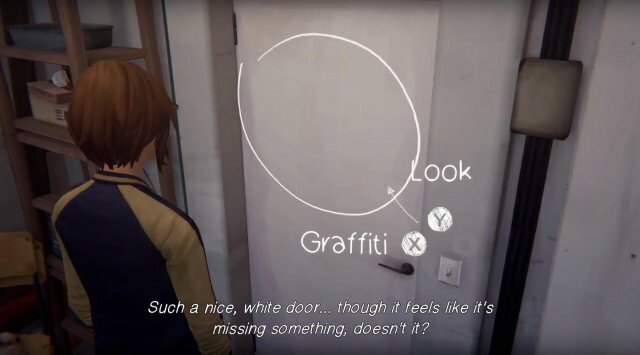 When Chloe is in inside a small concrete building (next to the rails), go to the wall inside this building and make graffiti. 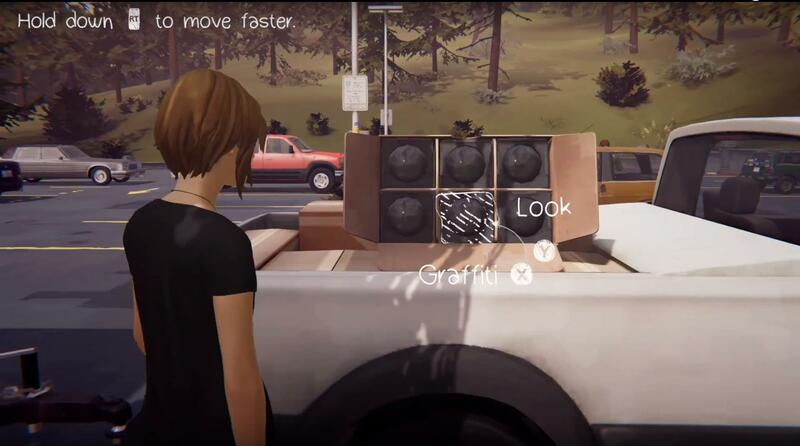 5) The fifth graffiti can be obtained when Chloe is in Frank's van. 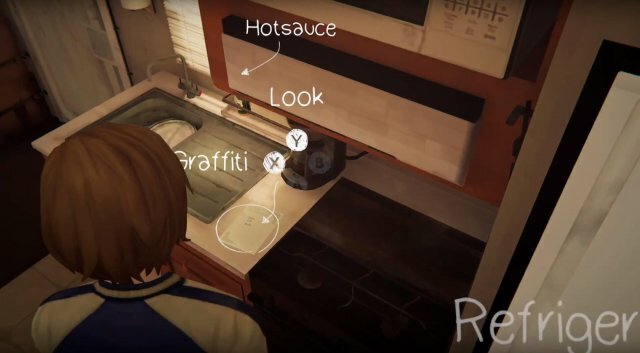 In the van, go to the Frank`s Grocery List and make graffiti (either "Work" or "Home"). 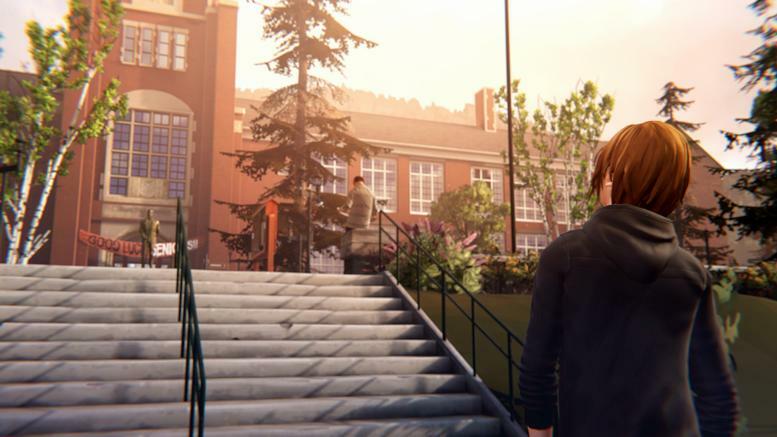 6) The sixth graffiti can be obtained when Chloe is in the courtyard next to Blackwell's dormitories. Go to the bare piece of concrete path, covered with yellow ribbons, go through it and make graffiti (either "Abandon all hope" or "Tempest - tossed"). 7) Seventh graffiti is not easy to get. 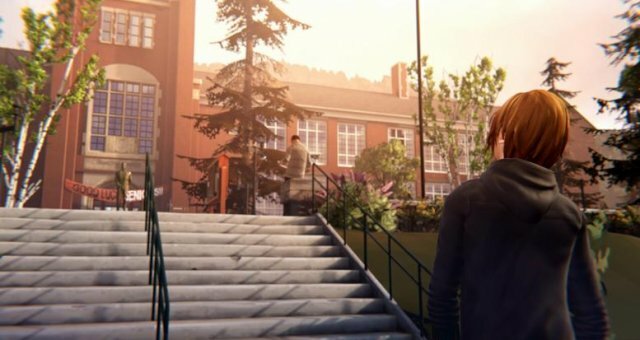 In the same courtyard next to Blackwell's dormitories, you will need to distract Samuel to access the door in his cleaner's workroom. To do this, you will have to scare off the bird that Evan photographs to get the chance to break the sprinkler. Scare her 4 times and the bird will fly to the other side and Evan will follow her. Then break the sprinkler, go to Samuel's workroom and make graffiti on the white door. 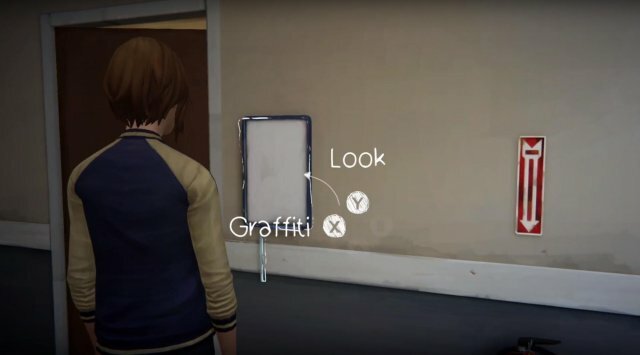 8) Eighth graffiti can be obtained when Chloe is in the boys' dormitories. Go into Evan's room (105) and investigate everything in the room to get the information you need. Leave his room and make graffiti on the plate next to his room (either "Creeper" or "Poet"). 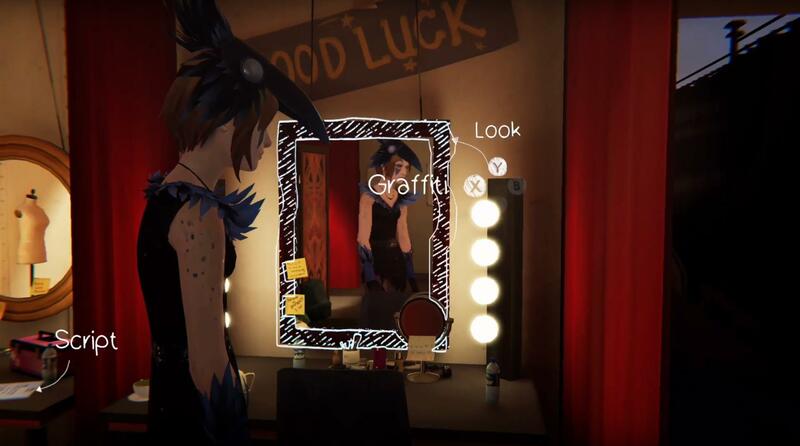 9) The ninth graffiti can be obtained when Chloe is in the dressing room, behind the scenes of the school play "Tempest". Before going on stage, go to one of the mirrors and make graffiti (either "Death" or "Tragedy"). 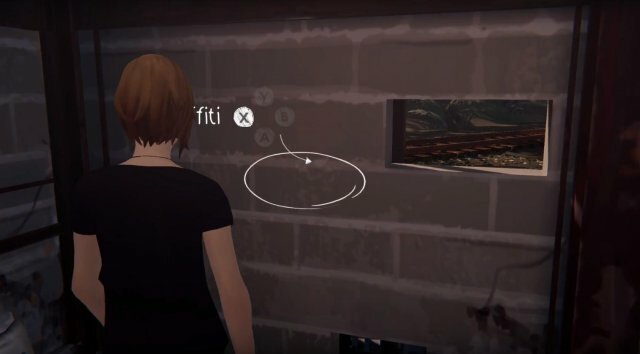 10) Tenth graffiti can be obtained when Chloe is in the house of the Ember family. 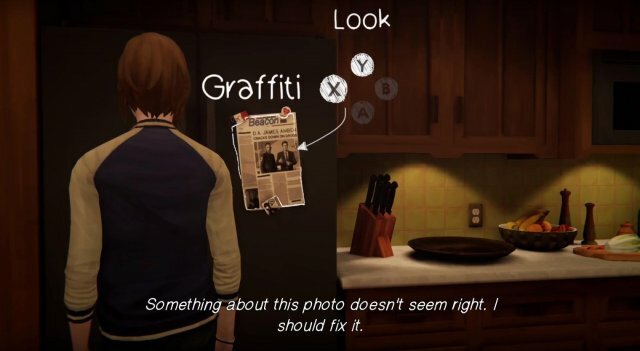 Talk to Rose Ember and when she is distracted, look at the newspaper clippings about Rachel's father on the fridge and make graffiti on it (either "Frankenstein`s monster" or "Count Dracula").